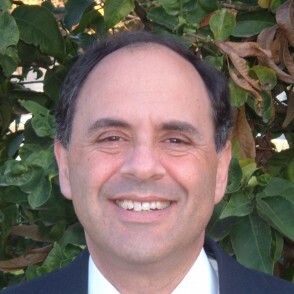 Dr. Chuck Freilich served as deputy national security adviser in Israel. Currently, he is an adjunct professor at Stern College for Women and a senior fellow at the Belfer Center at Harvard’s Kennedy School. He recently completed a first-of-its-kind book on Israel’s national security decision making processes (“Zion’s Dilemmas: How Israel Makes National Security Policy,” Cornell Press, 2012), and is working on a new book on Israeli national security strategy. Chuck’s primary areas of expertise are the Middle East, US-Middle East policy and Israeli national security policy. He teaches political science at Harvard, NYU, Columbia and Tel Aviv Universities. Chuck has appeared as a commentator for ABC, CNN, NPR, Al Jezeera and various US and Israeli radio and TV stations. He has been quoted in the NY Times and published numerous articles and op-eds. Chuck was a Senior Analyst at the Israel Ministry of Defense, policy adviser to a cabinet minister, a delegate at the Israeli Mission to the UN and the executive director of two non- profits. He served in the Israel Defense Forces for five years and is a reserve major. Chuck earned his Ph.D. from Columbia University. Born in New York, he immigrated to Israel in his teens. He has two grown children, Lior and Tal. Is a Two State Solution Still Viable? Can Israel Survive Today Without the US? From ISIS to Teheran – Where is the Middle East Heading? Syria Deal: As Good As It Gets? AIPAC, J Street, or JDate?